The Kinetic Rock and Roll | Control is the only interactive, app-controlled electronic trainer that allows your bike to move with you for a more realistic road feel AND a stronger core. It's an immersive training experience with efficient, targeted workouts and ride simulation that will bring you up mountains and past your expectations. Kurt Manufacturing got its start in the cycling industry when it began manufacturing the trainer frames for a competitor. The competitor went bankrupt in 1999. 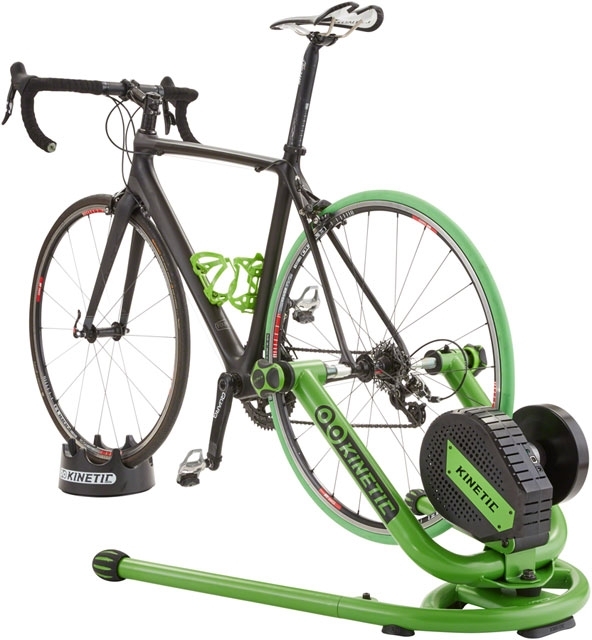 Stuck with a great deal of inventory and tooling and armed with the knowledge about leaking resistance units, Kurt decided to apply its precision manufacturing expertise to build bike trainers. The result was a design so innovative it was awarded a patent for its leak proof fluid resistance unit. 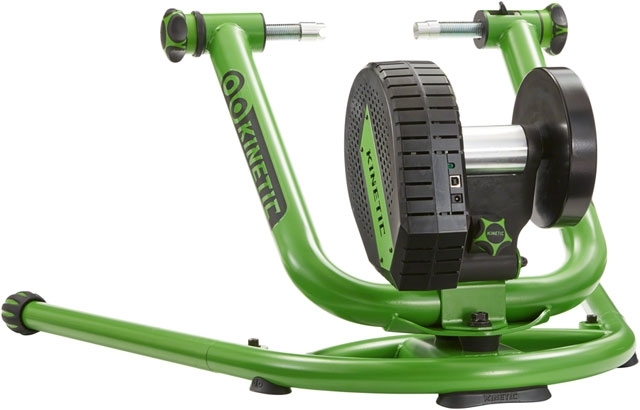 Kinetic trainers are built to push your limits. They are the most advanced mechanical training tools available. Innovative design, patented fluid resistance technology and precision engineering set them apart from the competition. Kinetic's fluid resistance unit is the industry standard for reliability and consistency and it's backed by an unconditional lifetime warranty.